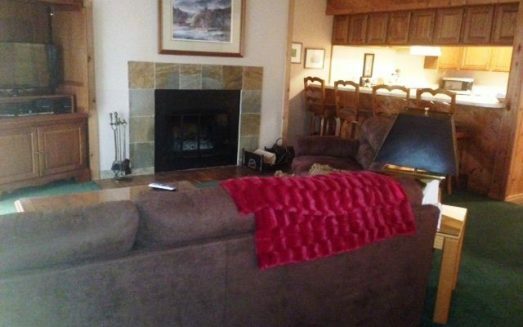 3 bedrooms, 2 baths, sleeps 12. 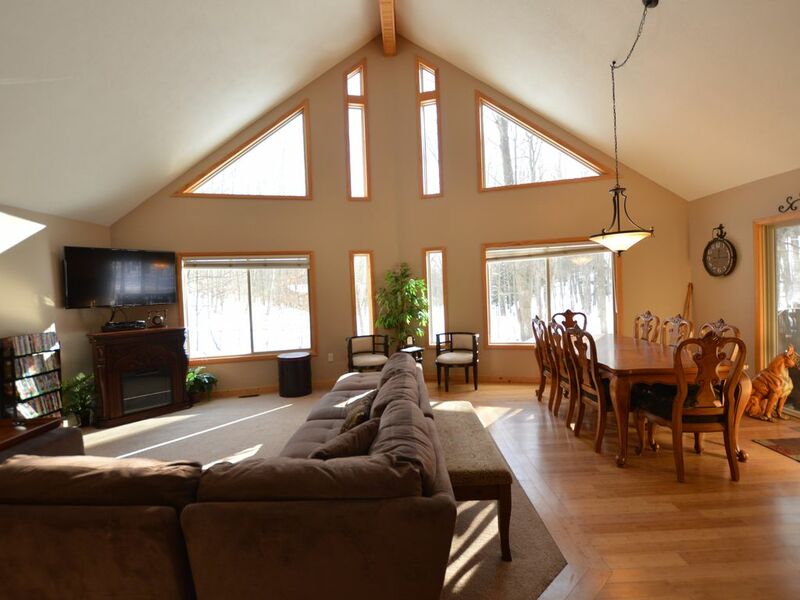 This chalet is located in the heart of Shanty Creek’s Schuss Village. 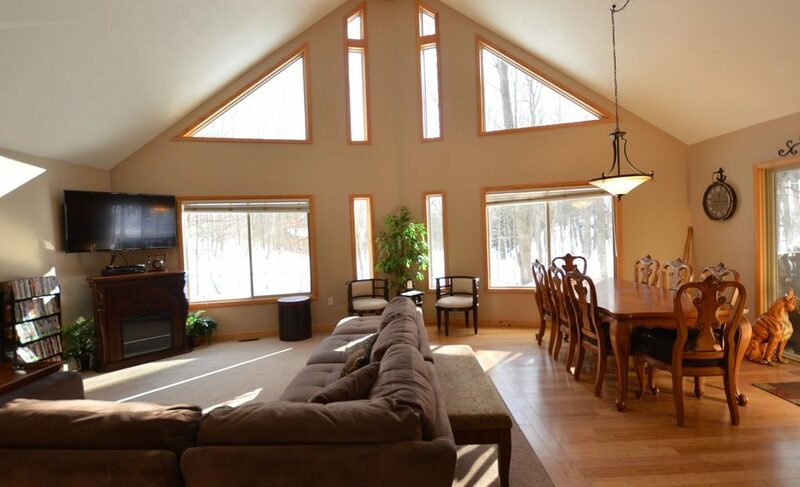 Private, large wooded lot, yet just a short drive to all the action on the slopes, golf courses and pools. The kitchen has maple cabinets and solid surface counters and boasts stainless steel appliances. 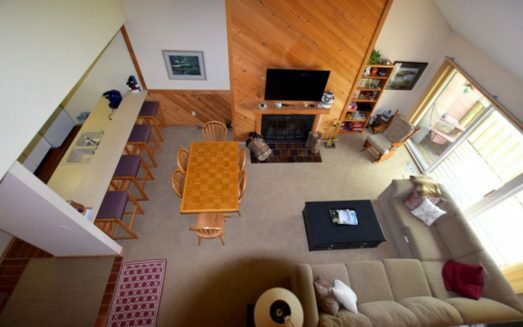 With cable TV in the large open living area you won’t miss a minute of any game! We also have a large DVD collection and wireless internet. The front porch is a great place to grill out on a summers night or sit and watch the deer. The bathrooms are beautiful with granite and tile. You also get a two car garage, a full laundry and room for everyone in your party. You can easily sleep 12 people. There is a fire pit in the front yard for everyone to gather around! 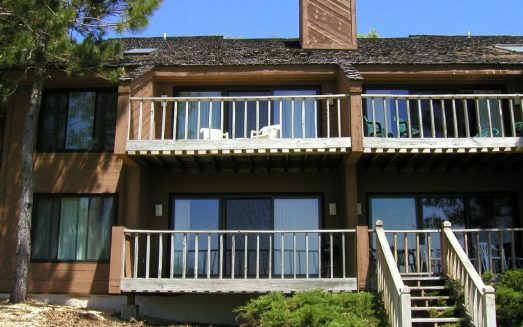 This owner also owns property in Summit Village in the resort and that allows him to use the private owners beach club on Lake Bellaire – and as his guests you can use it too! Spring, summer and fall at Shanty Creek: Shanty Creek resort offers 72 holes on four championship golf courses, each combining challenging play with Up North natural beauty. What to do outside the resort? : Golf 4 wonderful courses, swim, boat, use the pools and hot tubs, sight see – you’ll run out of time before you run out of things to do. Please enjoy the resort restaurants and shopping, and visit the great places in Bellaire. There is a movie theatre, video store, grocery store, some cool shops, coffee shops (Moka) and restaurants. One of our favorites is Starlight – and don’t miss the Shorts. In the resort, try Lakeview – it really does have a fantastic view of Lake Bellaire, or Ivan’s over at Schuss Village. If you get a chance to go a little further, Dockside on Torch Lake is a fun place to eat with a great setting on the lake. A few more miles will get you to Alden (don’t miss Higgins for the best ice cream around), or Traverse City, Petoskey and Charlevoix.